High-Tech Professionals is a staffing and recruiting company that offers several options to meet your talent needs. We offer contract, contract-to-hire and direct placement in the high-tech industry. By leveraging our services, you can quickly increase or decrease your workforce to meet your staffing needs today. High-Tech Professionals was founded by a Software Engineer. Because of our background and experience in Technology, this company has a good understanding of the kind of skills you are looking for. As a result, our contract and direct placements usually result in a very good “match”. Our specialization is in Engineering, Information Technology, Sales, Marketing, Product Management, Project Management, Quality Assurance (QA) and Testing, and Executive Management in the high technology industries. To submit a Staffing Request Click Here. We bring top-notch professionals to fill your short-tem needs to support upcoming projects and meet seasonal requirements. By using our staffing services and hiring on contract, you can maintain your approved head-count level, yet still retain the talent you need today while reducing your employee-related costs. 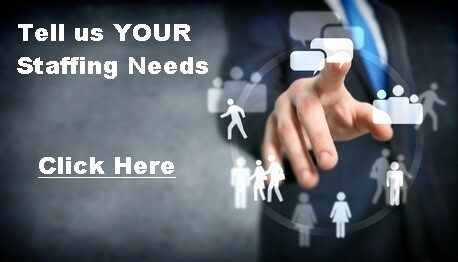 Our staffing services also free you up from human resource issues. We recruit talent for your permanent positions and are the recruiters of choice for many companies from start-up to Fortune 50 Corporations. By using our direct placement staffing services, you can rely on High-Tech Professionals to source, recruit and screen candidates, freeing your time for the needs of your business. By working with a staffing agency such as High-Tech Professionals, you have access to a full range of resources that help you to select the perfect employee. By utilizing High-Tech Professionals Contract-to-Hire staffing services, you can evaluate a candidate’s skill level, technical ability, and personality to determine if he or she is the right fit for your company. By observing an employee on the job before you make a direct (permanent) hire, you avoid future HR problems. You can also go this route when “open requisitions” are not available, but a candidate is needed immediately to fill a gap.